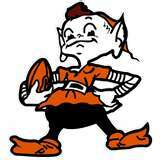 Tim Bielik, Browns and Ohio State beat writer for the Loraine Morning Journal joins us to talk about the teams. David Kay basketball editor for waterfootball.com joins us to talk about the Cavs and the NBA. Samantha Bunten, Browns and Indians beat writer for the Bleacher Report joins us to talk about the draft and spring training. Also tonight Bob Karlovec will be broadcasting a girls high school playoff game on WOBL. Tomorrow night he will be broadcasting on WDLW. Be part of the show by calling the SportSims.net hotline at 216-539-0607. Tony Williams Giants beat writer for Metro NY Paper joins us from Indy to preview the Super Bowl. 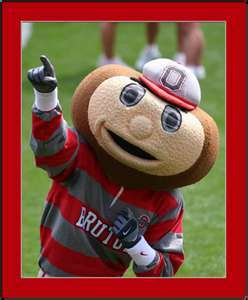 Josh Helmholdt, MidWest scout for Rivals.com joins us to talk about the Buckeyes and Big 10 football recruiting. Paul Banks of SportsBank.net and Chicago Sports Guru joins us to preview the Super Bowl and the 2012 NFL Draft. Finally Steve Olsen of Sportsims.net joins us to talk about his annual simulation of the Super Bowl game and the results of his work. Tony Williams of Metro New York paper joins me to talk about the NFL from a national perspective. Special guest Jake Query of WNDE home of the Colts radio coverage and I will discuss the recent moves by the Colts and the decisions about QB Payton Manning and the first pick in the 2012 NFL draft. Also be sure to join Dactar for his Browns Pre-game show 45 minutes before kickoff. Then for in game chat, join Mr. Moohead and me on http://mooheadradio.com/2.0/ and stay tuned for his half time and post-game analysis (and rant if the team loses or plays poorly which is too often the case). Then I am proud to have long time Cleveland Sports personality Bob Karlovec joins me to talk about the Indians and the Browns games against the Bengals and this week against the Colts. Tomorrow night at 6:20 we welcome Indy Star Colt beat writer Phil Wilson to the show. He covered the Browns in the late 80s and early 90s and relives some of those memories as well.